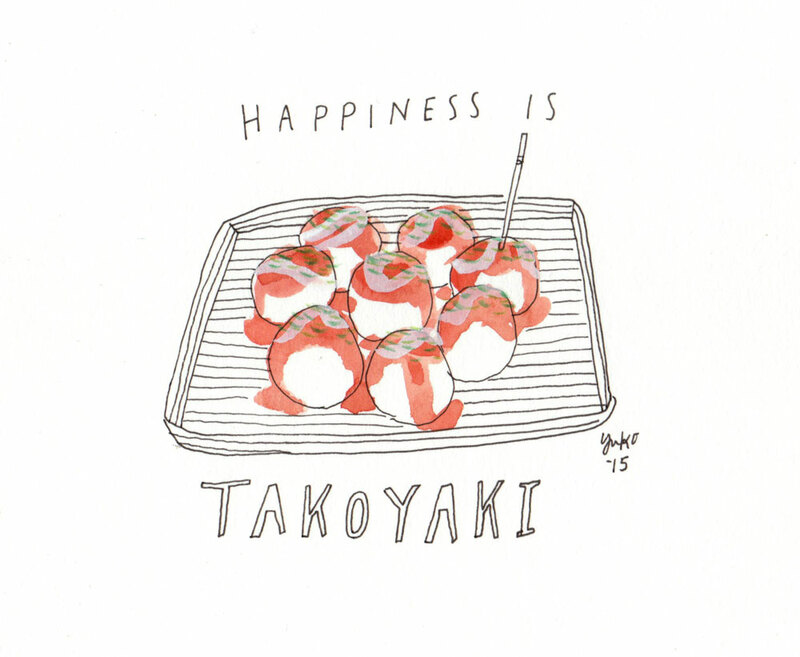 Day 296: Happiness is takoyaki. Happiness is takoyaki. One of my favorite snacks from Japan! Ball-shaped dough with chopped octopus inside!